Free pick-up and delivery of rugs throughout the Baltimore region! We offer the most gentle, sanitary and thorough cleaning possible using a specialized full bath immersion and compressed air to clean Oriental, Heirloom and Designer area rugs. Our approach and equipment are unlike any other cleaner in the region, and we invite you to see the process firsthand in our video series. Cunningham Rug Cleaning believes that cleaning oriental rugs is an art form and we emphasize that not all commercial or residential carpet cleaners can handle the task of safely cleaning rugs. As Oriental rug cleaners with the training and experience in their care, we know the proper processes and methods to not only clean the rugs to restore their original look, but also possess the equipment to work with the rug so as not to damage any fibers or alter the pattern and to return a rug that is safe for your home and family. Oriental rug cleaning is a delicate process best left in the hands of professionals, as cleaning oriental rugs on your own could result in damage being done to the rug itself. Our focus is on cleaning methods that are safe for the rug and safe for the owners. Like you, we own beautiful hand crafted rugs we cherish and would like to pass these down through our own family for generations to come. For these reasons, it imperative to treat them as gently as possible during the washing process. We don’t use harsh chemicals, abrasives or steam, rather we rely on a time tested a six step process that offers one of the the most effective, safe and complete treatments available. The washing method of choice is the Turkish bath which allows the rug to be bathed in a gentle current of water. This approach and attention ensures that the life of your carpet will extend for generations to come and that it is returned to you in a healthy and safe condition with the proper cleaning it deserved. All without exposing it to harsh processes or chemicals! It’s recommended to have Oriental and Persian carpets cleaned on a regular basis to protect your investment. 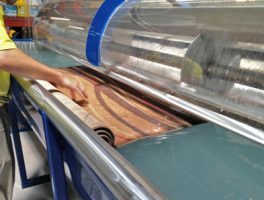 Spills and stains need to be tended to as soon as possible by experienced rug cleaners who have the equipment and knowledge to address the issues without harsh chemicals. Be sure to choose a rug cleaner with the specialized processes and experience to give you the best results. Cunningham Rug Cleaning is proud to stand out in the marketplace for their specialty cleaning processes, safety and level of care for your rug. Over time dust and general dirt can build up and begin to dull your rugs. 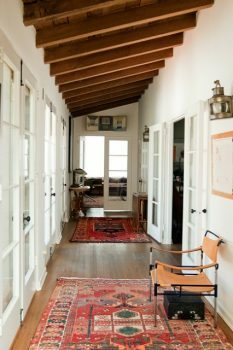 Regular cleaning of your oriental rugs can bring back its vibrant colors and get rid of marks and stains and even identify and repair surface damage. Cunningham’s Master Rug Cleaners are able to perform repair work (such as mending edges and binding which may have come loose over time) further adding to the overall look and feel of your coveted oriental rug. Many Oriental rugs have been handed down through generations or purchased with the intent to pass down to others. Because of the history and significance of quality oriental rugs, and the high price tag associated with them, spending a little bit of money proper cleaning and repair is the best way to ensure your beloved rug is around for many generations to come and continues adding elegance to your home. We are experts in the cleaning, restoration and repair for all types of Oriental and area rugs. Cunningham’s rug cleaning services use state of art equipment to remove dirt, dust, pet dander, stains and pet odors from your Oriental and area rugs. Bring back the luster and cleanliness of your rugs without any harmful chemicals or harsh detergents with the deep cleaning and expert care from our team of professionals. Let Cunningham’s certified Master Rug Cleaners bring your rugs back to life and extend their longevity with the proper care and cleaning they deserve. From pet accidents to morning coffee spills to plain old dust, if there’s a rug in need, we can help. Our process for cleaning uses individualized hand care which takes each rug through the steps of dusting, washing, spotting, rinsing, and drying. Throughout each step, each rug is carefully evaluated and treated according to its needs. Our team of master rug cleaners provide consultation on the correct cleaning process for every piece. Rugs can be just as unique as the people who own them, and the experts here at Cunningham’s take pride in being able to service any type: from specialty rugs to animal hides to Persian or Navajo rugs. Click here to see a complete list. Most handmade rugs can last for generations as long as they are handled tenderly. Rug care is an important part of making your home look great, and keeping those family memories intact. Some antique and valuable rugs are far too precious to trust with home cleaning or a regular carpet service. In addition to cleaning and washing we offer a full a range of services to extend the life of your fine rugs. Rugs can need repair for any number of reasons, but age and wear and tear are two of the big reasons that homeowners decide to bring rugs to a professional. Repairs are often simple processes that can vastly improve your rug. For example: fringe is a delicate part of your rug, and often needs repair work to replace pieces that have been damaged. Rug backing can also fall victim to common wear and tear, and can be fixed with repair. These minor repairs can be done in-house, and will extend the life of your rug. Repairs that are more complicated fall under the category of restoration. Many holes need to be rewoven by a master weaver to deliver stunning results. Some of these restorations might need to be completed in the rug’s country of origin, and we’re happy to engage our network of artists in that event. For more information visit our repair and restoration page. Padding placed between the floor and your rug creates a non-slip surface and makes your rug safer to walk on. It also makes rugs last longer, feel softer, and look smoother. We can create custom rug padding for any size rug in your home. Pets are an important part of what makes your house a home. Unfortunately for your rugs, they often need time to adjust before becoming completely house trained. Even then, accidents can happen and this put your rugs at risk. But instead of deciding to keep your pets out of the living room or getting rid of damaged rugs, bring your rugs to Cunningham’s to get rid of pet odor. Over the counter pet stain removers can cause even more damage to your rug, so call an expert before trying to fix the stain yourself. In the unfortunate circumstance that a homeowner has been confronted with disaster and damage to their home and valuables, Cunningham’s Rug Cleaning specializes in restoration services for all types of rugs. In these cases, home insurance can help address the loss of assets in case of accidents like burst pipes or kitchen fires, including insurance restoration for your valuable rugs. If you need to bring your prized rug back to life after a disaster in your home, we can restore your rug to pre-loss condition. Smoke, mold, and water damage can be removed, regardless as to whether the damage is major or minor.